3-Mo. Club Membership - Cookie Subscription | COOKIE...take a bite! 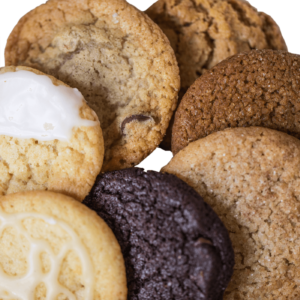 Purchase a 3-month subscription to our Cookie of the Month Club! 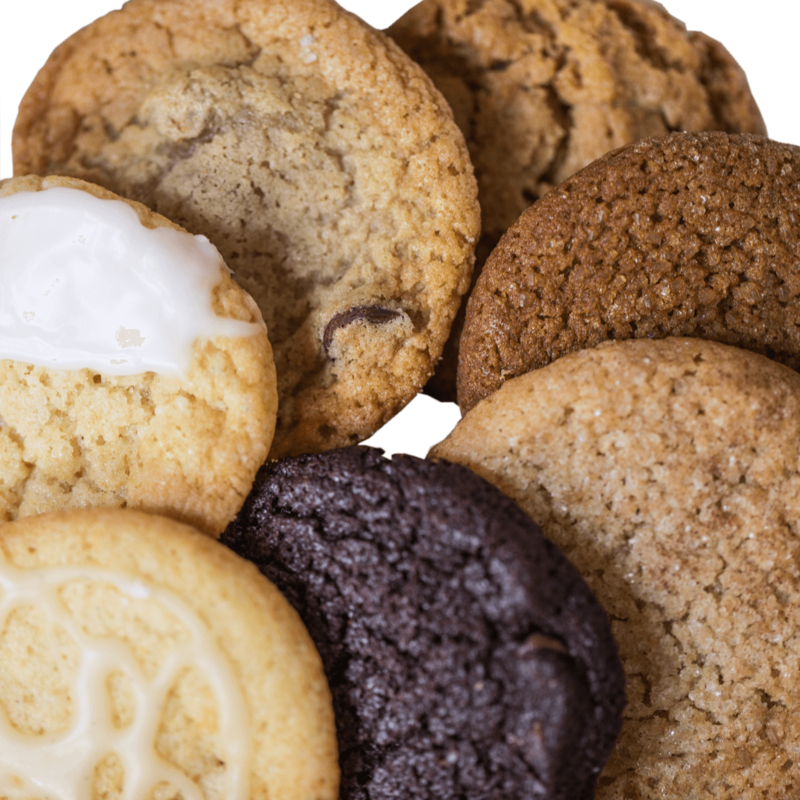 Treat your favorite person, customer or yourself to monthly deliveries of freshly baked cookies! Each month, our club members will receive two dozen cookies in an elegant gift box. The flavors change each month to reflect seasonal bounties and holiday themes. Our quality products and packaging are a great way to brighten a special one’s day. For this year’s collection, we sprinkled in some of our classics, some of our favorites and some new flavors we are releasing this year! We think this is a fabulous way to enjoy our cookies – either for yourself or as a beautiful and delicious gift! JANUARY – Sneak Peek at the new flavors we are working on: Coconut Lime Swirl and Goji Berry Chocolate Chip. AUGUST – Taste this year’s Harvest Fair Winners! DECEMBER – Holiday Favorites! Club members will receive our Holiday Assortment tin that includes four different flavors! Subject to change, but always sending the best!